Marathon running is not all about mileage – some people really were born to withstand the endurance challenge better than others. That was the conclusion of a group of experts at the Exercise Physiology Laboratory of the Camilo José Cela University in Spain, who set out to determine the influence of genetics on muscle damage that occurs during a 26.2-mile race. For their study, published in the journal PLoS ONE, the scientists analysed the muscles of a group of marathon runners to find out why some can complete the distance with very low levels of muscle deterioration, while others experience significant muscle pain, despite having put in the same training volume. Blood samples from the 71 participating athletes were taken before and after a marathon and records of their vertical jump power and muscle perception were noted. Seven genes were targeted, with each gene assigned a score – 0 indicated that the gene did not create a muscular advantage for running a marathon, 1 meant a standard level and 2 indicated that the gene had positive properties for muscles during a long distance race. According to Juan Del Coso, the lead researcher, results were conclusive and showed that athletes with a higher genetic score were physiologically better able to cope with the marathon event. 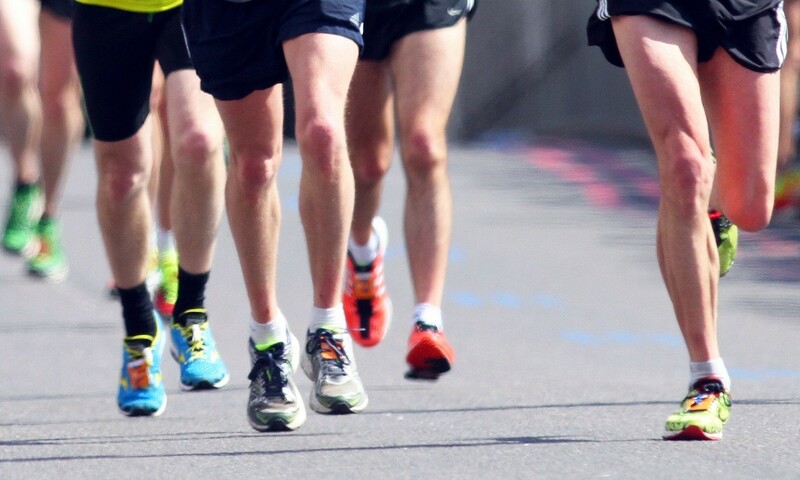 These runners had lower levels of creatine kinase and myoglobin in their blood, representing less damage to fibres, compared to marathon runners with a lower genetic score. However, the genetically less blessed shouldn’t hang up their racing flats. Having an unfavourable genetic profile simply implies they “will have to do specific training to prepare their muscles for facing these demanding conditions,” Del Coso said.